As I have written before about my Chevrolet Cruze, I recently had to go to get an oil change for the car. Being an ignorant first-time car owner, I cruised on over to the dealership for their express lube service. After waiting about an hour, they finished up with my car, and I was on my way to the office. Later on that day, I told my colleague Jonathan about my experience and how much the whole appointment cost. He was surprised at the high price, and told me I should instead go and find a good mechanic rather than going to the dealership. Personally speaking, I just did not have enough time to really look for a mechanic, and I just needed to get the servicing done. On the other hand, I can completely understand the merits of this. Considering I can find other options at a lower cost but offering the same types of service, it makes more sense for me to be able to find someone else. It may require some more effort to find the right person for my needs, but I think the effort is worth it. Today's review unit of the V-MODA Forza can be seen as a local mechanic, at least in terms of pricing. The Forza comes in at one of the lowest priced headphones we have seen from V-MODA, and while we have liked this company for its sound signature, I have to wonder if it can compete on its own. Is this the dependable but lower cost version of headphones, or will there be some sacrifices I will have to make at this? Let us find out today, as we take a closer look at the V-MODA Forza. 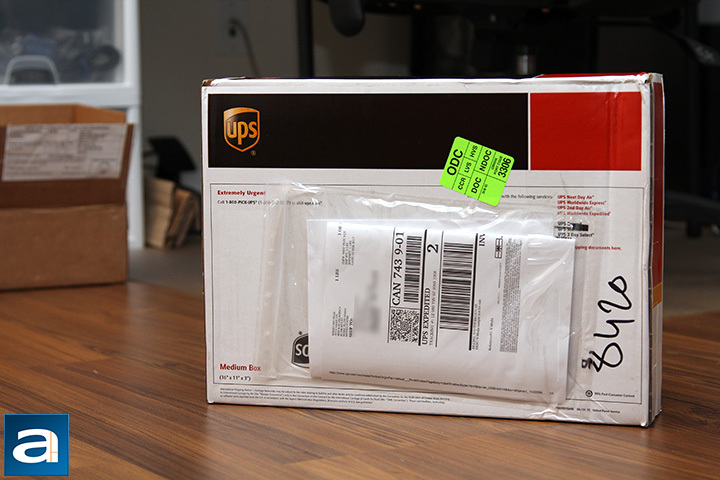 Our review unit of the V-MODA Forza came in a medium sized, UPS branded cardboard box from the company's American headquarters in Los Angeles, California. Using UPS Expedited, everything arrived in excellent condition to us here at Calgary, Alberta, Canada for our review today. Along with the Forza is also the V-MODA Forza Metallo, which is covered by Editor-in-Chief Jonathan Kwan. Otherwise, there is not much else to note, so let us open this box to see what the Forza looks like. Following in a similar styling as the V-MODA Zn's retail container, we have a nice compact black box holding the V-MODA Forza. V-MODA as a company has always been known an audio company first, but I think they are also very much a fashion company. It is not like they make too much in the clothing lines, but rather their headphones are always designed in a way such that it is unapologetically V-MODA. 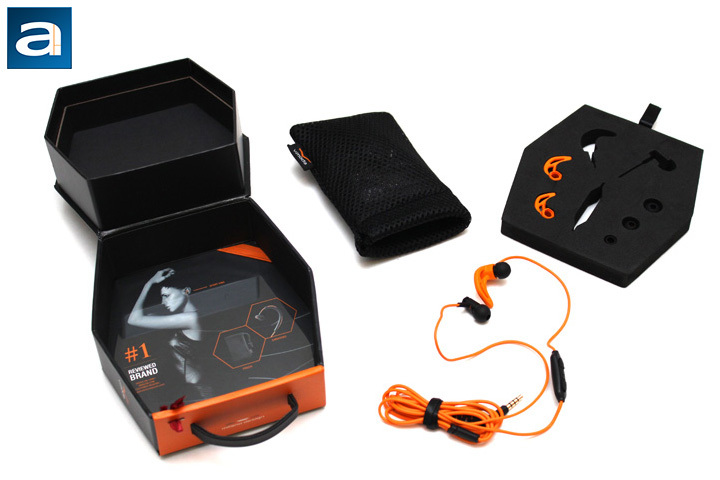 This design carries forward to the retail packaging, as the box is black in color, with orange highlights in various places, which matches the V-MODA orange in its logo. Rather than the rectangular box you might expect, the Forza has a hexagonal shape for some interesting things. The front shows off the earbuds in addition to several features. In addition, you can see the "Made for iPod, iPhone, iPad" label on the front, as this Forza is the iOS version. 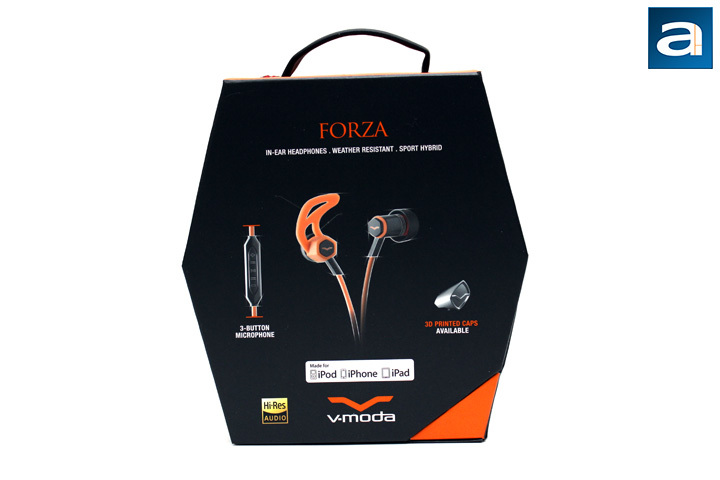 Just to note, the Forza comes in both iOS and Android compatible earbuds. The front panel opens to reveal the Forza earbuds behind a plastic window, while the back panel has some more information about the Forza and the contents of the box. Opening the box, the V-MODA Forza is stuffed with a lot of other accessories. This includes two pairs of earbuds for four different sizes including extra-small, small, medium, and large. One pair of sport fins are also included in three sizes of small, medium, and large. A single pair of earhooks is also included. If this was not already enough, a small mesh bag is also included to let you travel with the earbuds. V-MODA definitely has provided everything I would have wanted, and it is great to see all these accessories. Otherwise, there are a few pieces of documentation, including a user manual for the Forza and information about warranty. V-MODA offers a two year warranty in addition to a 50% Immortal Life Program Replacement, where V-MODA will give you half of the retail price of your current headset to replace it with a similar product. Let us take a closer look at the Forza themselves now. posted 3 hours and 5 minutes ago, with 1 posts. posted 3 hours and 11 minutes ago, with 11 posts.